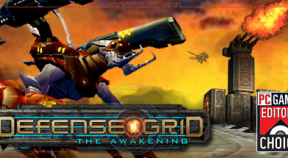 Defense Grid: The Awakening is a unique spin on tower defense gameplay that will appeal to players of all skill levels. A horde of enemies is invading, and it's up to the player to stop them by strategically building fortification towers around their base. Beautiful environments, spectacular effects, and a dynamic, engaging soundtrack bring the world to life. The controls are intuitive and the gameplay is deep — the special attacks and properties of each tower work together to provide many ways to succeed. Don’t miss out on the next two maps in the Resurgence series. Risk Exposure will allow you to discover your ability to defend two independent power core housings! Limited build spaces will test your skills as you divide your resources to discover optimal tower placement. On Roundabout, you will be faced with numerous possibilities for pathing and a variety of elevation changes. This one will have you going in circles to contain the alien menace! It’s the third of four great map packs in the Resurgence series. Urban Planning is a dense environment with restrictive build spaces, forcing difficult decisions against continuously attacking hordes. In Tactical Diversion, survey the small, snow covered platform and consider numerous possibilities. But be prepared for the aerial assault! The final installment of the Resurgence series includes two more environments sure to challenge your tactical planning. In Kill Zone, will you construct your defenses near the spiral road in, the spiral road out, or the open platform in the middle? Perhaps all three! But you’ll need to be on your toes to deter the invaders. Overflow has numerous connected platforms that will provide countless options to turn back the enemies. Will you be able to keep the cores safe?